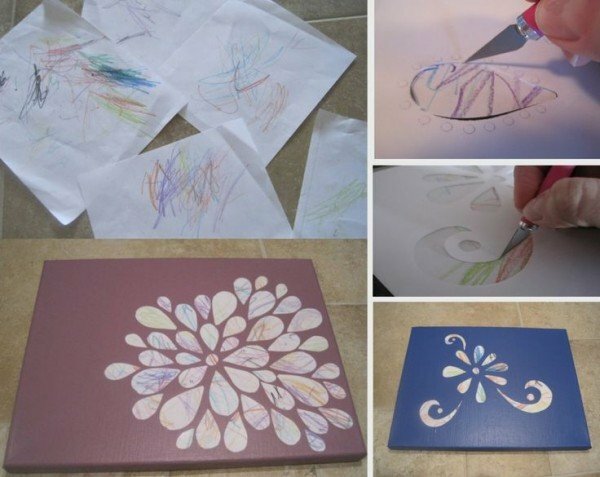 Turn your toddler scribble into an instant work of art! 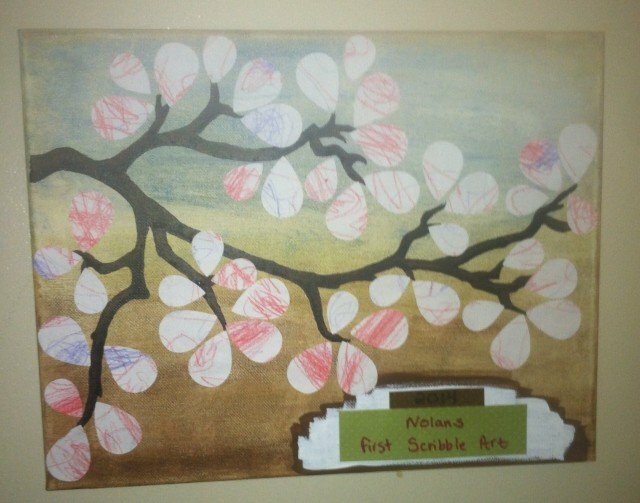 Preschoolers love drawing on papers in a mess, but the growing stage is unforgettable for the whole family and themselves. 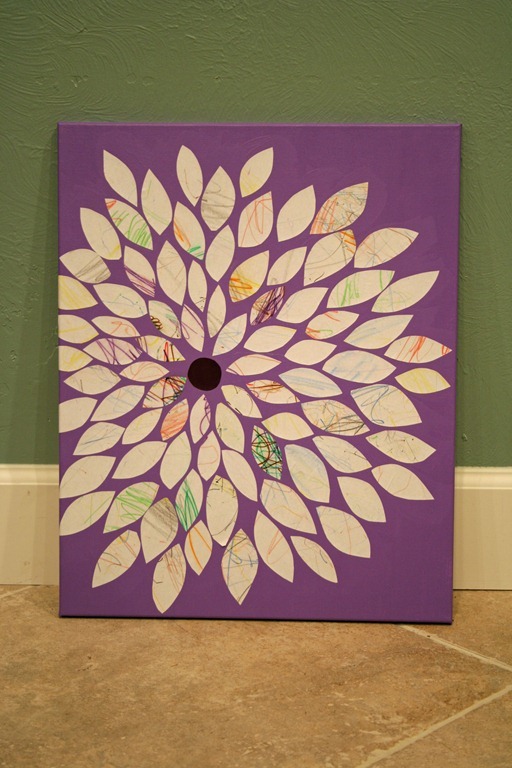 Turn these messy scribbles into wall arts and make great gifts for the them when they grow up or the grandparents! This idea is brilliant and no doubt the answer to many Parents prayers. 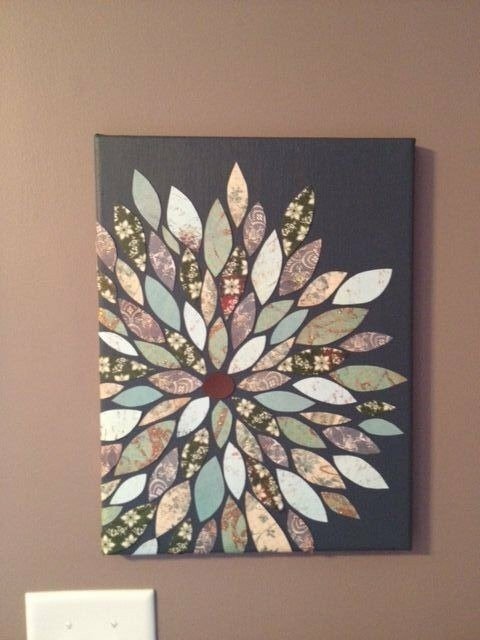 Get the tutorial now via Blankets N Bling. Try different cutting shapes and patterns and arrange them on canvas to keep these scribbles of the first memory of art for your kids, the Johnny Bug shows another inspirational way as following. 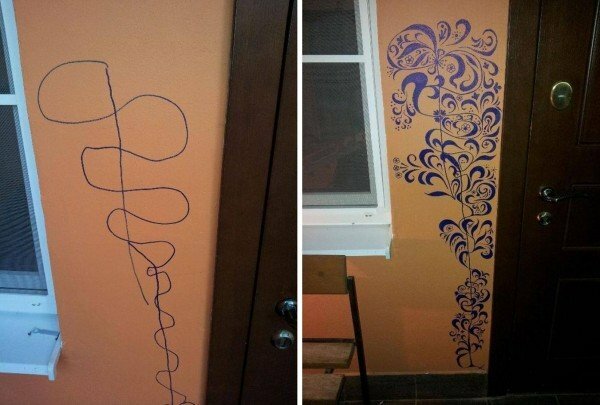 Every parent has faced the annoyance of leaving their child alone in a room only to come back moments later to a table or the floor or a wall decorated in new and unwelcome art.